N-Wissen GmbH is now the official distributor of the pioneer in sterilization technology – Astell Scientific and the world’s leading manufacturer of quality laboratory test sieves, sieve shakers – Endecotts for the DACH region (Germany, Austria and Switzerland). Moreover our company opened a Service Center in order to provide our clients not only with excellent and approved equipment, but also with high quality service. We continue to complete our range with new products for R&D. Currently N-Wissen GmbH became an authorized partner of Major Science (USA) – an innovative manufacturer of Winpact lab fermentor / bioreactors. Winpact lab fermentor / bioreactor is specially designed for R&D purposes, with the operation of manual and 15 steps programmable control, it gives you a complete control over your experiment to optimize your production process. Depending on your application and experimental needs, different optional devices could be implemented and integrated into the Winpact system. Whether it’s cell cultivation or microbial fermentation, Winpact lab fermentor / bioreactor provides you the total package solution. 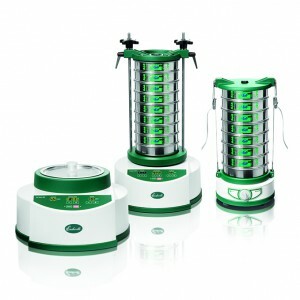 We are pleased to offer the new range of laboratory test sieving machines from our partner Endecots. The Octagon 200CL, Octagon 200, Minor 200 and the Air Sizer 200 have been especially developed to accommodate the exacting requirements of the modern laboratory. Ergonomically designed and with a fresh look, Endecotts sieving machines are ideal for your particle size analyses. With its new product generation Endecotts now offer the full range of sieving equipment for all applications and to all national and international standards. Please check here for more detailed information. 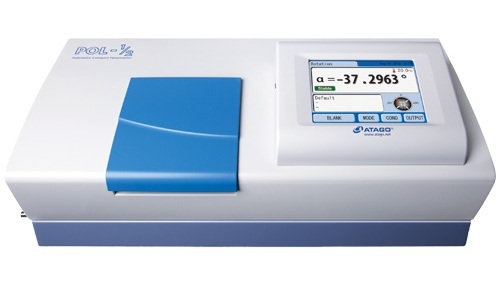 Our company is glad to present newest Atago Polarimeter POL-1/2. This polarimeter is smaller than any other Polarimeter and has higher accuracy and faster measurement time than all previous models. For more information please refer to the Polarimeter on our website.